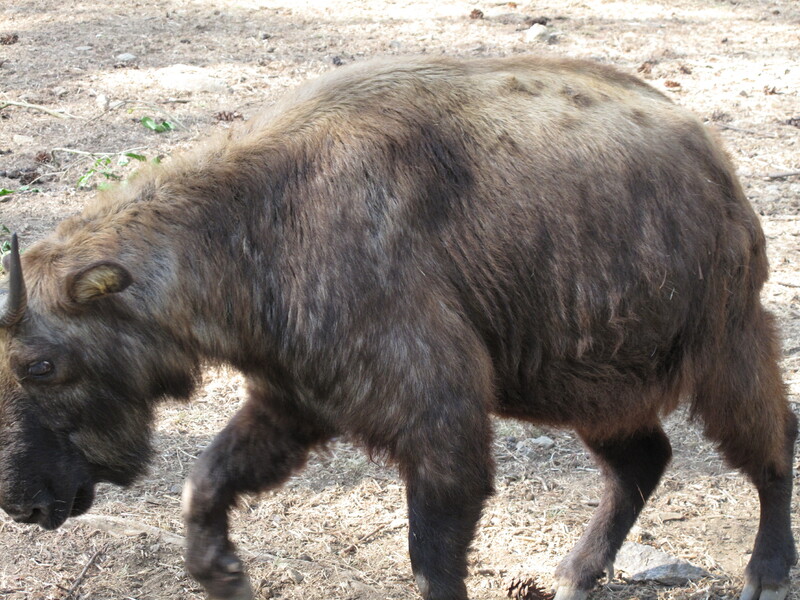 It’s hard to believe it’s almost a month already since we arrived in Bhutan. 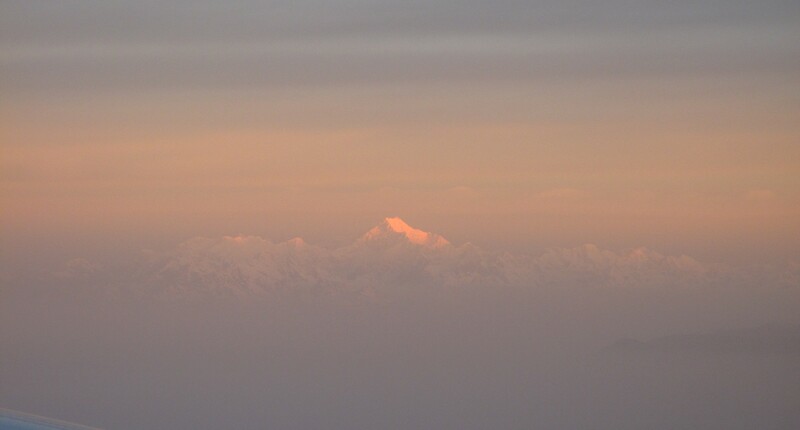 Our first glimpse of what would be our Himalayan home for the next 12 months was the surreal scene from the window of our pre-dawn flight from Bangkok to Paro of a few snow-capped peaks, illuminated by the sunrise as they poked through the layer of cloud. When the plane dipped below the cloud we were in a steep narrow valley. Bare crop plots lined the river banks on the valley floor and small white houses dotted the hillsides rising up both sides of us. 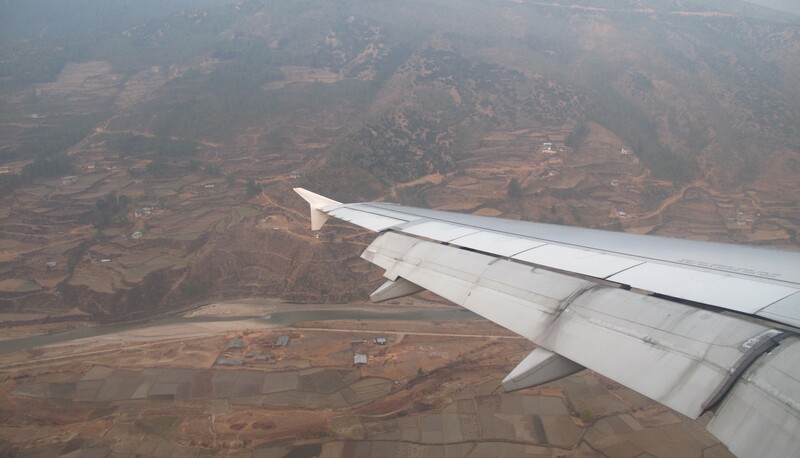 The pilot expertly manoeuvred the plane as the valley snaked around, bringing us safely down onto the short runway of Bhutan’s international airport. Apparently there are only 8 pilots in the world who are qualified to make this tricky landing. The sense of serenity was almost immediate as we emerged from the plane and stepped onto the tarmac. It was unexpectedly peaceful for an airport. Ours was the only plane there. And then the dry crisp mountain air hit our cheeks. It was only just above freezing. It is the end of winter after all and spring would be just around the corner. We were greeted by a portrait of the young smiling King and his Queen on a billboard adjacent to the elaborately decorated arrivals hall. King Jigme Singye Wangchuk is the 5th King of Bhutan. The King and I are actually the same age and as it happens we also married in the same year! He became King in 2008 when his father, the 4th King, abdicated as part of his selfless plan to move the country peacefully from an absolute monarchy to a democratic constitutional monarchy. As I write, Bhutan is still the youngest democratic country in the world. By all accounts this new system has been largely welcomed and embraced by the 750,000 mostly rural population, but their King, and the royal family in general, are still widely revered and respected. 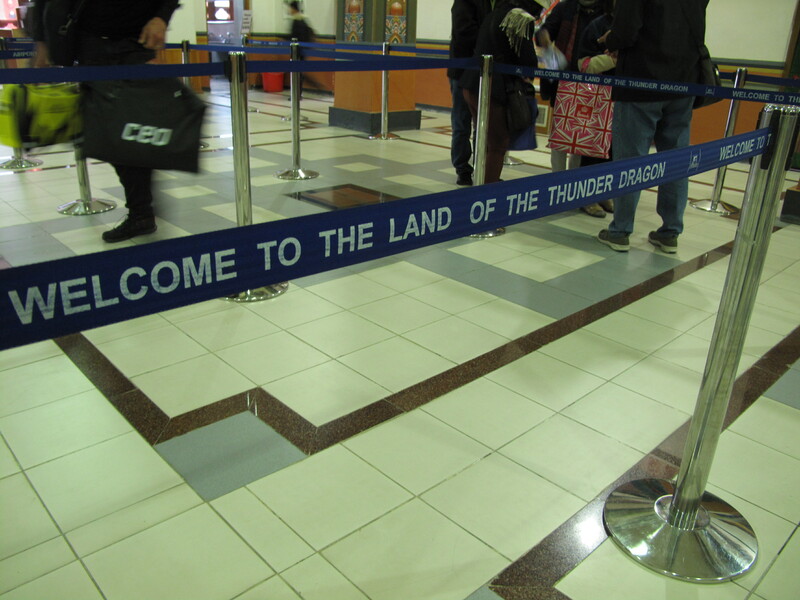 “Welcome the land of the thunder dragon” was written around the arrivals hall as we lined up at the imposing solid wooden desks to receive our temporary 1 month visas. 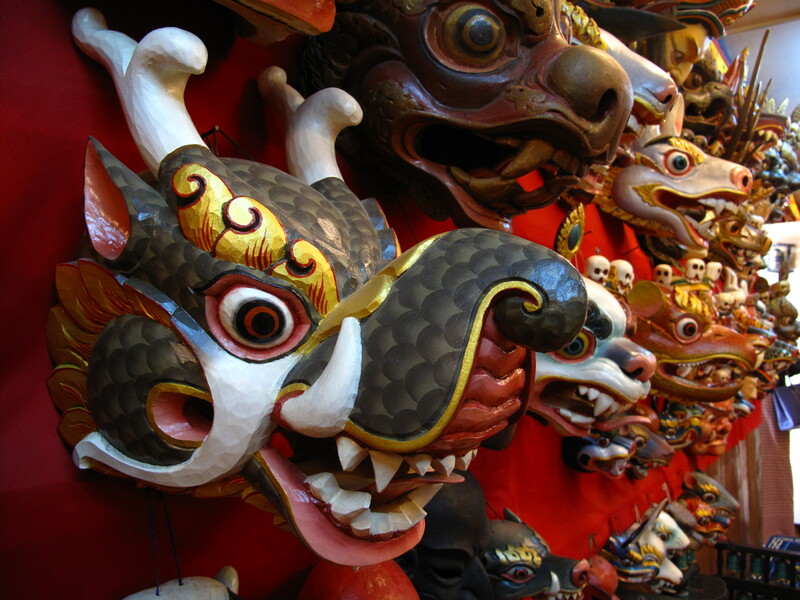 The country is referred to as the land of the thunder dragon on account of the storms that roar up Bhutan’s valleys from the plains of India during the wet season, something which we’ll no doubt experience in a few months’ time. There were 12 of us Aussies arriving together: 6 AVID volunteers, 4 partners and 2 children. We are the third (and largest) batch of AVID volunteers to Bhutan so far. There are currently 3 AVID volunteers from the previous batch still in country (working in Health and Education) who will all be finishing up over the coming months. Of our batch, three are working in Agriculture (which encompasses biosecurity, forest management and catchment management), two are working in Health and 1 in Education. 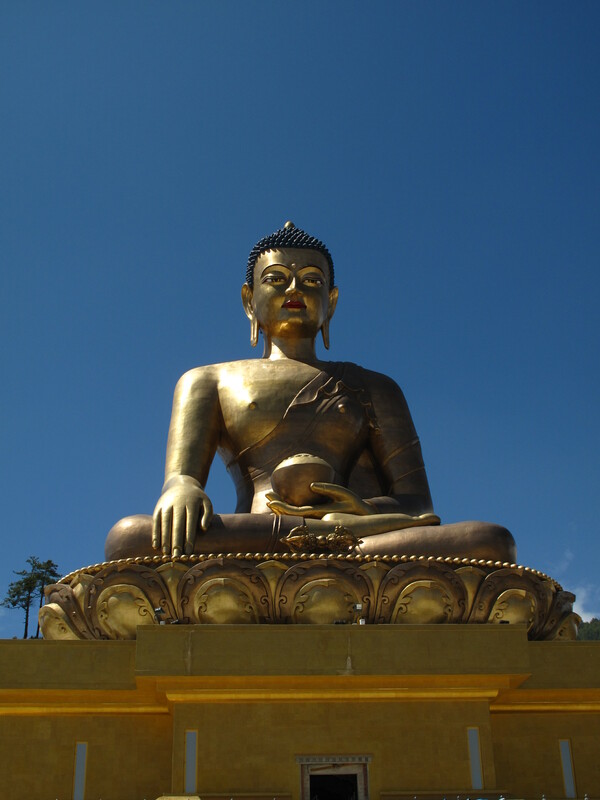 All bar 1 of the group are based in the capital, Thimphu. Our photo and brief article appeared in Kuensel, Bhutan’s daily newspaper on 7.4.2014. We were met in the arrivals hall by our In Country Manager, a lovely young Bhutanese lady, who is charged with helping us settle in and being our “go to” person if we have any issues while we’re here (among various other administrative responsibilities …. she has a huge job!). 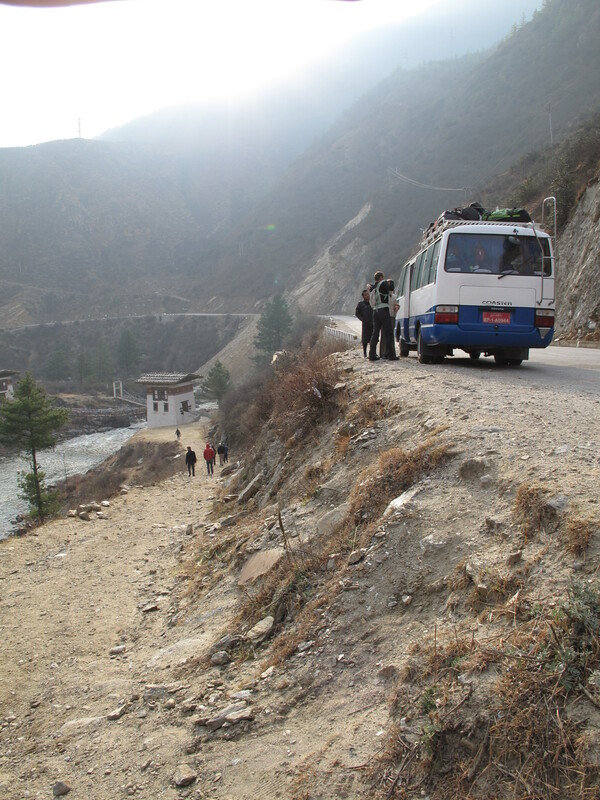 Once all the masses of baggage were collected we boarded a minibus for the 2 hour drive from Paro to Thimphu in the next valley over. The road from Paro to Thimphu is sealed and probably one of the best roads in the country, but of course due to the terrain it winds around the mountains and there are plenty of blind corners and evidence of past landslips. Enroute we made an impromptu stop by the side of the road and walked across a traditional iron suspension bridge then up the hill on the other side to visit Tamchhog Lhakhang temple. 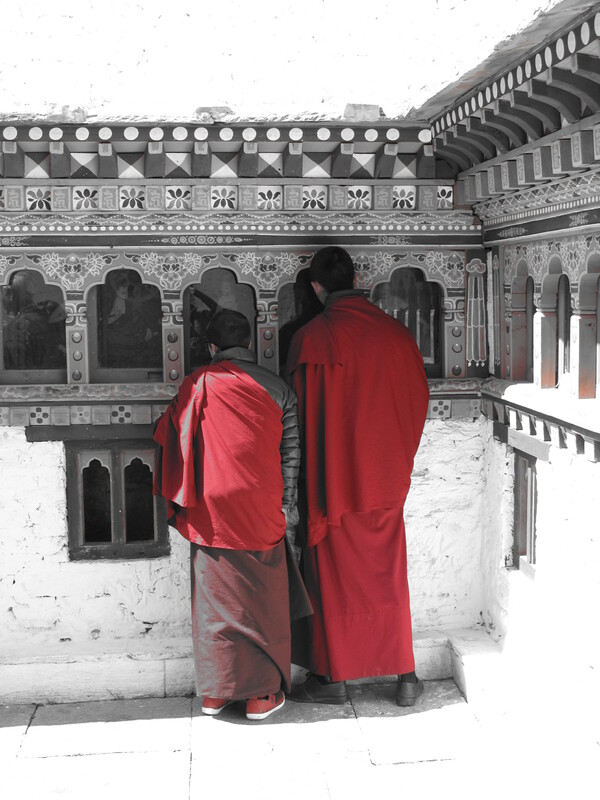 Temples in Bhutan are either government run (ie they receive money from the Government to fund their upkeep) or privately run (usually a family live there and maintain the temple from donations collected from visitors and pilgrims). 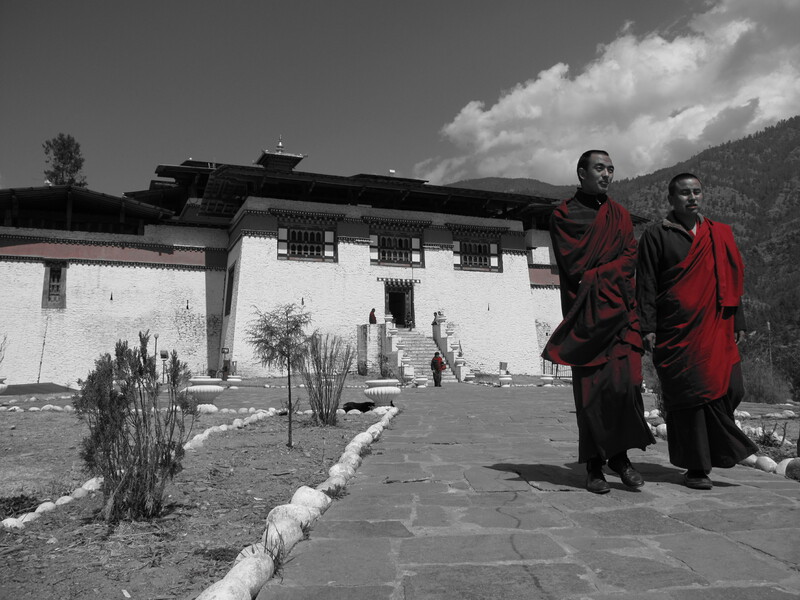 Tamchhog Lhakhang is a privately run temple. 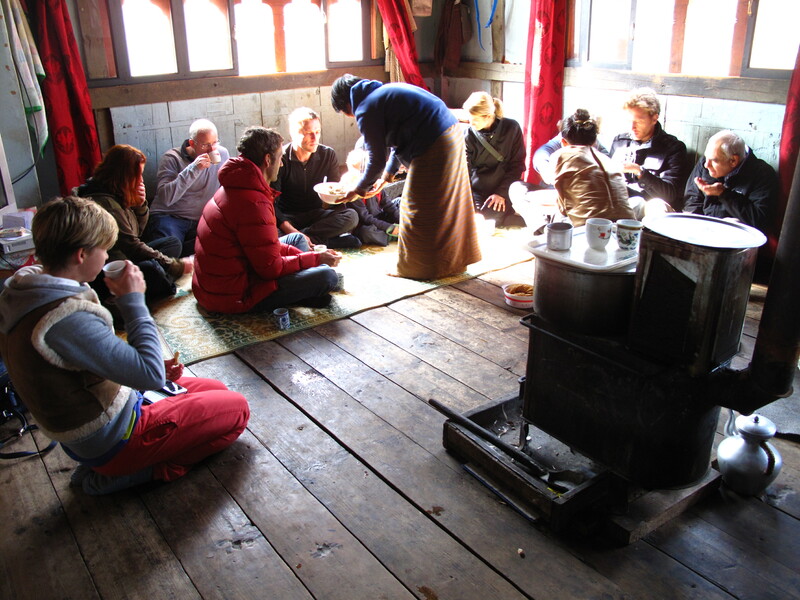 After visiting the temple itself, the caretaker family invited us into their humble dwelling for delicious sweet milky masala tea heated on a combustion stove in the centre of the room and traditional snacks of puffed rice and corn. What an amazing welcome! For the first week we were based in a hotel in the centre of Thimphu while we participated in “In Country Orientation” (ICO). 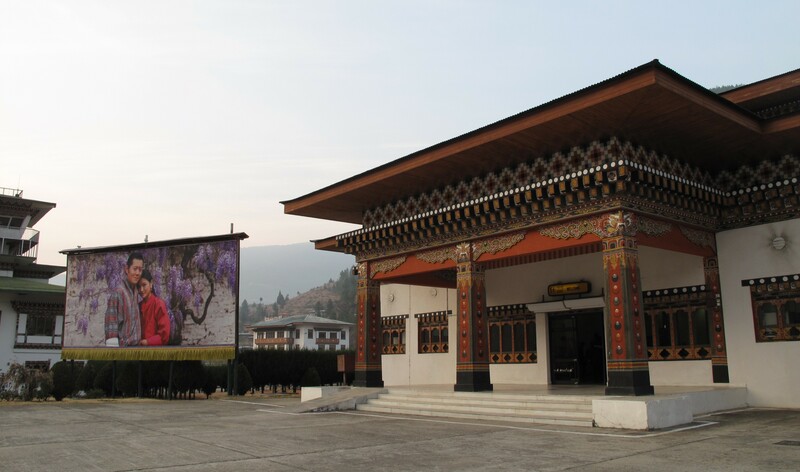 ICO began with the traditional opening ceremonies of ‘Zhugdrel’ and ‘Marchang’ at a Buddhist temple above Thimphu called “Changangkha Lhakhang”. Upon arrival we were presented with white scarves to place around our necks and escorted into the central room of the temple where we sat cross legged in rows on carpets layed on the solid timber floor. There is a strong belief in Bhutanese Buddhist culture that if something has an auspicious beginning, it will bring forth positive results. 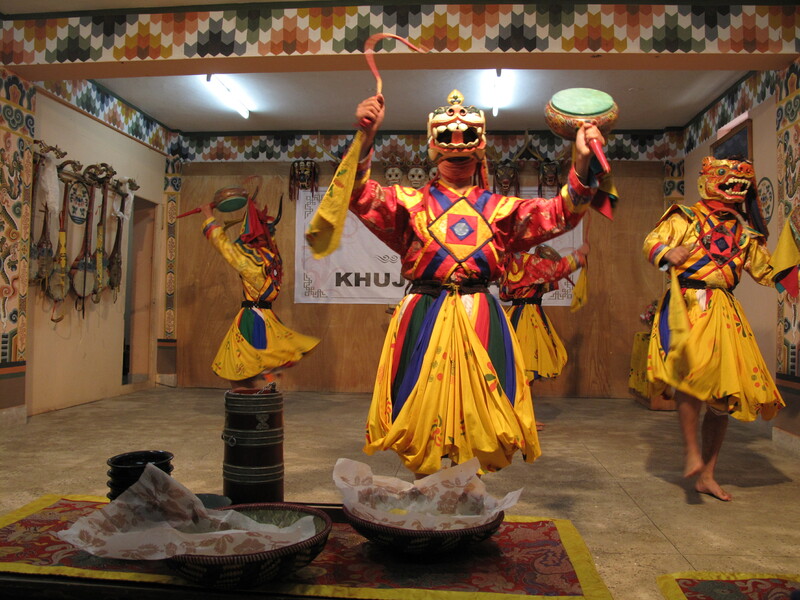 To this end, the ‘Zhugdrel’ and the ‘Marchang’ are performed which involve a complex series of rituals with historic significance. In simple terms the ‘Zhugdrel’, is about making offerings of tea and food while the monks chant verses and the ‘Marchang’ centres around a bowl with 3 horns fixed to its rim which is used to offer wine to the chief guest. In our case, the chief guest was the AVID Regional Manager, usually based in Bangkok, who had joined us for ICO. For the rest of the week we had classes on everything from the History of Bhutan, its Geography, culture and etiquette, environment and development to Gross National Happiness (GNH) … more on that later. 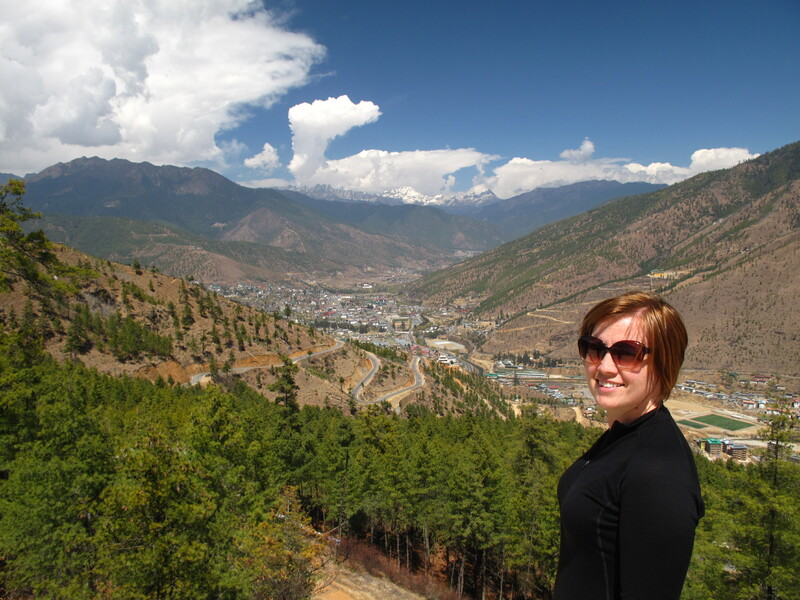 And we were taken to visit several places of interest in and around Thimphu such as …. 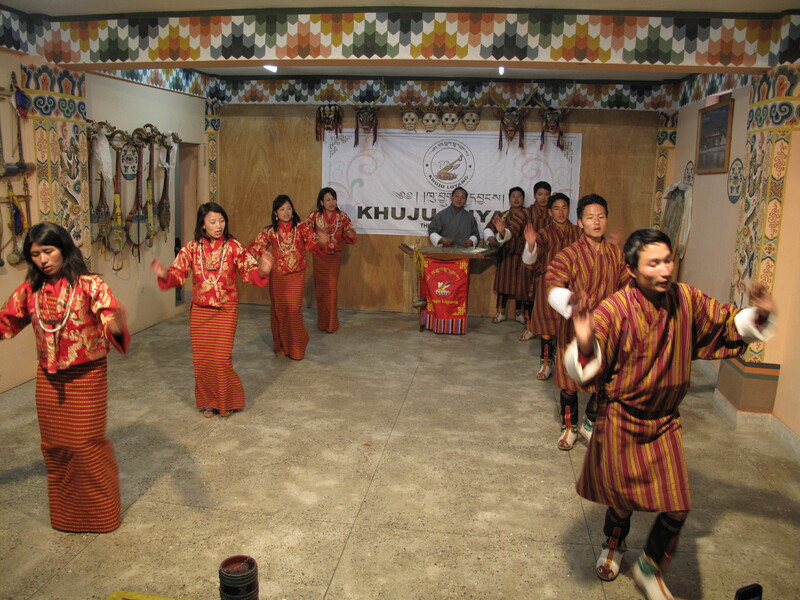 … the National Art School (which provides instruction on Bhutan’s 13 traditional arts) …. … and culminating in a cultural dance show. 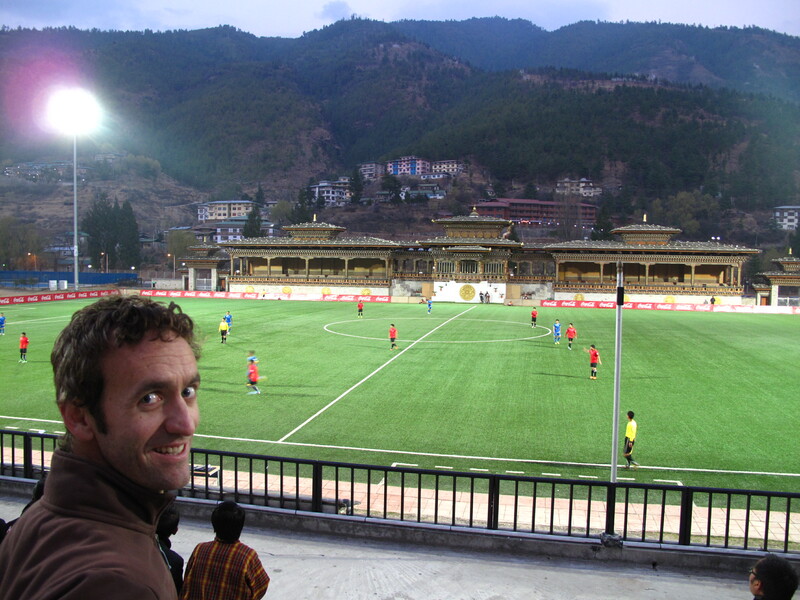 In our spare time, we even fitted in a soccer match between two of the Bhutan A-League teams at the National Stadium. Considering that to visit Bhutan as a tourist costs US$250 a day for the visa, it is a distinct honour and privilege to be living here for the next 12 months. This Post was tagged Australian Volunteers for International Development, AVID, Bhutan, Big Buddha, Buddha Point, Buddhism, Buddhist, Changangkha Lhakhang, driving in Bhutan, expat living in Bhutan, Himalayan, iron suspension bridge, King and Queen of Bhutan, Kuenselphodrang, Land of the Thunder Dragon, landing in Bhutan, Marchang, monarchy, Paro Airport, road, Semtokha Dzong, Takin, Tamchhog Lhakhang, Temple, Thimphu, volunteer, Volunteering, volunteering in Bhutan, youngest democratic country, Zhugdrel. Bookmark the permalink. Lovely blogg. Just to clarify the reference to $250 per day visa. It actually includes quite good accommodation, very generous meals ,transport, driver, guide, etc and in the non peak season it is $200 per day. Many people think all this is additional. Thanks Dave, it’s good you clarified this! I guess the other point to make is that this doesn’t apply to Indian nationals visiting Bhutan. Fantastic to hear from you Jen. We have been wondering how you were going. Love your descriptive prose and photos. I am looking forward to reading your blog on a regular basis. Hi Jen, What a great start to your blog. I can see that the book is going to be a best seller! Looking forward to the next episode. Keep well and have fun. Thank Jen, Its great to have friend who you can live vicariously through. And, as for a few of the things you seem to get involved in this one is weighing in as one of the exciting ones, especially from our slightly beige domestic Lounge. Ive heard that the population there is really young, is this true or at least does it stand out? and lets have a bit of the GNH eh?